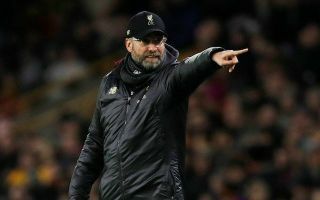 Liverpool manager Jurgen Klopp is reportedly eager to bring in just one new player in this January’s transfer window. The German tactician could do with a little more depth in his squad at the moment as he struggles with a mini injury crisis in defence. Joe Gomez has been out for a while, while Fabinho had to play centre-back in the win over Brighton as Dejan Lovren was also out. Klopp is now said to want one new signing this winter to come in and provide cover in defence and midfield, according to the Daily Record. No specific player is named in the report, but the Reds are said to be keen on bringing someone in on the cheap. It remains to be seen if Liverpool can find this fairly specific kind of player in the final two weeks of the transfer window, but it could be a crucial one for their title hopes. LFC are top of the Premier League table at the moment and perhaps have their best shot in a lifetime at ending their 29-year title drought. Still, Manchester City were runaway champions last season and remain only four points behind the league leaders. That means any slip-up could be costly, so it’s worth Liverpool doing everything they can to sign someone who can help ease their current injury problems at the back.